Felix Knutsson is nearly thirteen, lives with his mother and pet gerbil Horatio, and is brilliant at memorising facts and trivia. So far, pretty normal. But Felix and his mom Astrid have a secret: they are living in a van. Astrid promises it’s only for a while until she finds a new job, and begs Felix not to breathe a word about it. So when Felix starts at a new school, he does his very best to hide the fact that most of his clothes are in storage, he only showers weekly at the community centre, and that he doesn’t have enough to eat. When his friends Dylan and Winnie ask to visit, Felix always has an excuse. But Felix has a plan to turn his and Astrid’s lives around: he’s going to go on his favourite game show Who, What, Where, When and win the cash prize. All he needs is a little luck and a lot of brain power . 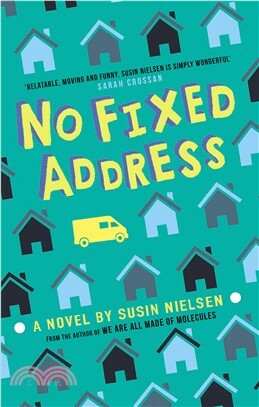 . .
Susin Nielsen deftly combines humour, heartbreak, and hope in this moving story about people who slip through the cracks in society, and about the power of friendship and community to make all the difference.